Quantock Veterinary Hospital takes your privacy seriously. This policy sets out the basis on which any personal data we collect from you, or that you provide to us, will be processed and used by us. This policy applies to our registered clients, website, Facebook, Twitter and any other forms of social media used. “We” are committed to protecting and respecting your privacy. We appreciate the sensitivity of the personal information that you disclose to us when you register as clients. 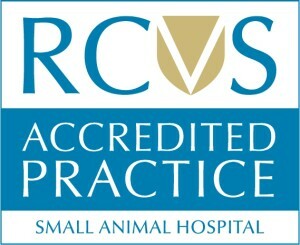 We maintain high standards of confidentiality, following the Code of Professional Conduct from our professional regulatory body the Royal College of Veterinary Surgeons (RCVS) and complying with the Data Protection Act 1998 and subsequent GDPR 2018 regulations. When we register you as a client, we do so with your explicit consent and confidentiality. Information is also collected from you when you contribute to or use some of the features on our website site. The information we collect is clearly set out on the web page on which we collect it. 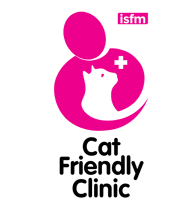 We work in partnership with other companies such as Insurance companies, Kennels and Re-homing centres and sometimes will have requests to share your pet’s information with them. to supply information to insurance companies & other professional organisations. keep you updated (via telephone, post or digital communication, for example, email or text message) with information including guidance, news, activities. have the proper systems in place to protect personal data. 4.3 Disclosure: In certain circumstances we may need to disclose information about you without consent, for example, if required to do so by law or by any competent authority in this country or overseas. We invite feedback from you about our data handling and our web site and, from time to time, we may use the site to carry out electronic consultation exercises. If you send comments to us via the site, we will collect your comments and your contact details for the purpose of the consultation concerned. 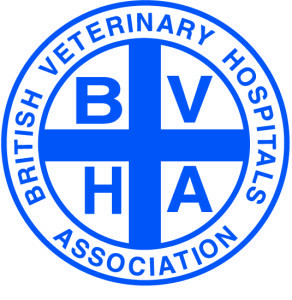 Quantock Veterinary Hospital is registered with the Information Commissioner in the UK as a “data controller” in accordance with the provisions of the Data Protection Act 1998. Further details of the registration are available at http://ico.org.uk/. Parts of our billing process are automatic, and we may process your personal data as part of administering Quantock Complete Care and the billing process. Keeping information about you secure is very important to us and your data will be stored in a secure manner. Certain sections of our website may encrypt data using SSL or a comparable standard. Card payment information is securely checked by P.C.I. However, no data transmission over the Internet can be guaranteed to be totally secure. As a result, whilst we strive to protect your personal information, we cannot ensure or warrant the security of any information which you send to us, and you do so at your own risk. 10 How long to we keep your records? This is information that we hold which can identify you and includes: your name, address, telephone number and email address. Under the new data protection law starting in May 2018 Quantock Veterinary Hospital have several lawful reasons that we can use (or ‘process’) your personal information. One of the lawful reasons is called ‘legitimate interests’. For example, when you provide your personal details to us via the website we use your information to reply to a query or send you information. Our website may, from time to time, contain links to and from the website. If you follow a link to any of these websites, please note that you have left our website and these websites have their own privacy policies. We do not accept any responsibility or liability for these policies or websites. Please check these policies before you submit any personal data to these websites.